Venture capitalist Tim Draper has made the bold claim that bitcoin will become bigger than Tesla, Skype, and Hotmail combined. Speaking at an Intelligence Squared U.S. debate presented in partnership with Manhattan Institute’s Adam Smith Society over the weekend, Draper said that compared to his early investments in Skype, Tesla, and Hotmail, the number one digital currency would be ‘bigger than all those combined,’ reports CNBC. This is bigger than the internet. It’s bigger than the Iron Age, the Renaissance. It’s bigger than the Industrial Revolution. This affects the entire world and it’s going to be affected in a faster and more prevalent way than you ever imagined. As long-time advocate for bitcoin, Draper – founder of leading venture capital firms Draper Associates and DFJ Venture Capital – has never been one to hold back on where he thinks the currency is heading. In 2014, he purchased nearly 30,000 bitcoin during the U.S. Marshals Service Silk Road auction. In December, it was reported that he was still in possession of those coins. Last year, Draper proclaimed that bitcoin was the greatest technology since the internet and that it was better than fiat. Whereas, in April, he stated that the cryptocurrency should replace the Indian rupee. In five years you are going to try to go buy coffee with fiat currency and they are going to laugh at you because you’re not using crypto. I believe that there will be a point at which you will no longer really want any of the fiat currency. Draper’s remarks come at a time when the market is experiencing an upsurge in value. At the end of 2017, bitcoin was trading within touching distance of $20,000, but steadily saw its price – among others – fall during the first quarter of 2018. 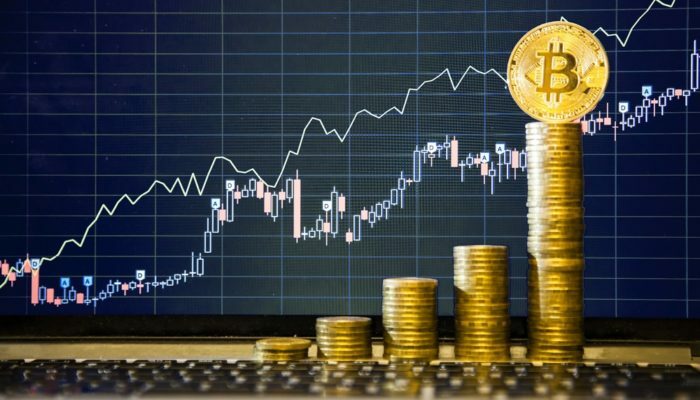 At the time of publishing, bitcoin is trading at over $8,900, according to CoinMarketCap, with the cryptocurrency industry hitting a six-week high at $400 billion. This has been hacked at more than anything in history and has never been defeated. Last I checked, banks get hacked too. And yeah, Bitcoin is used by unsavory characters. Last I checked, they used U.S. dollars too.